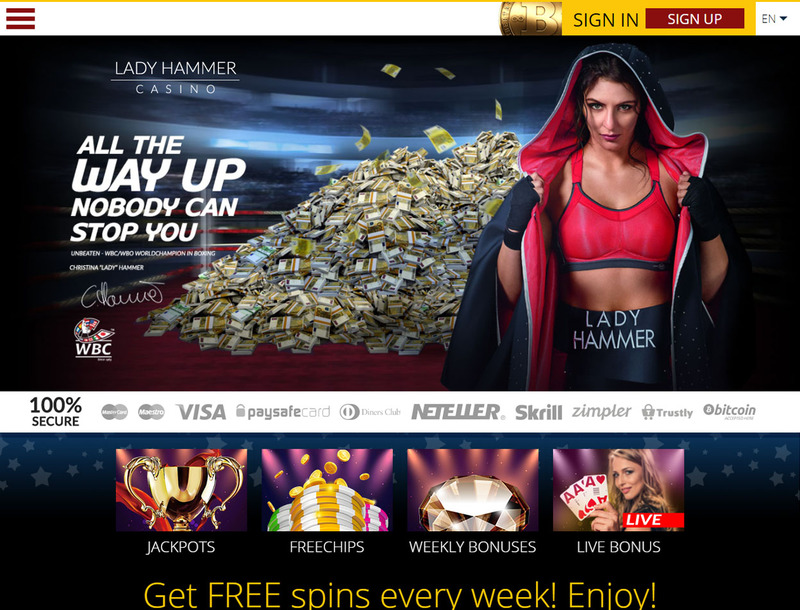 Christina “Lady” Hammer, a five-time world boxing champion, is the face of LadyHammer Casino. It offers world-class enjoyment and integrates entertainment with the legends of boxing. Direx N.V. owns this casino which accepts three currencies: EUR, USD, and BTC. But, unfortunately, it also has country restrictions. If you are a player from France, Spain, UK, US, and Israel, you cannot deposit or play real money games here. Otherwise, this is a new online casino with plenty of games guaranteed to give you the best gaming experience yet. If you enjoy playing slot games but want better bonuses and perks, this is the online casino for you. 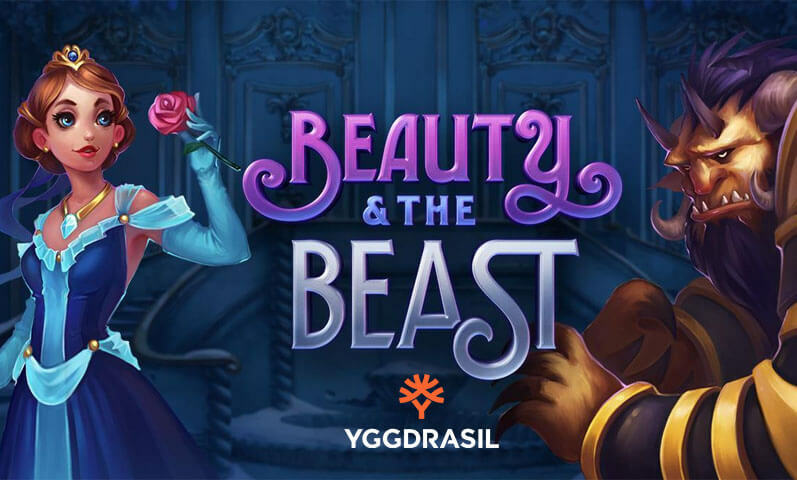 You can fearlessly take your bonus money and free spins to try different slot games from SoftSwiss and NetEnt. 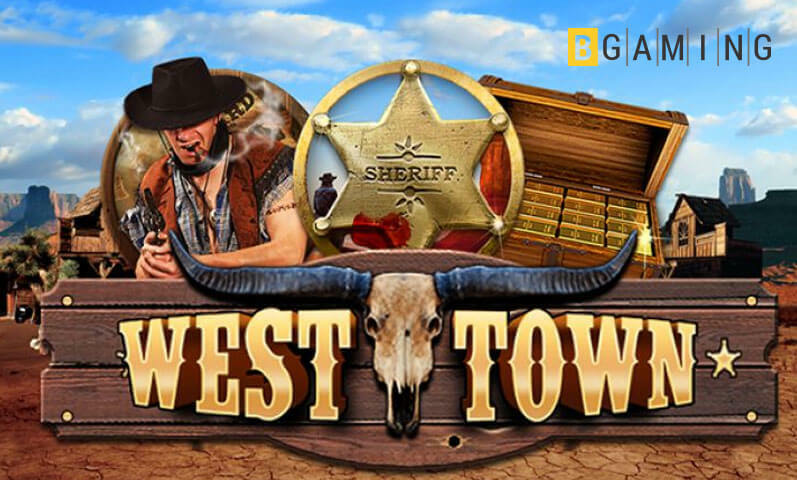 Some of the best slot games around are here just waiting for you. A few choice picks include Fisticuffs, Aztec Magic, and Dead or Alive™. When there is a day you want to try other games, this online casino has several options for you. You can enjoy different kinds of video poker, such as All Aces Poker, Deuces Wild, and Jacks or Better. If you like the possibility of winning a life-changing jackpot, try the jackpot games. Try your luck with Mega Moolah, Fruit Fiesta, Tunzamunni, and more. You can also try different table games in this online casino. 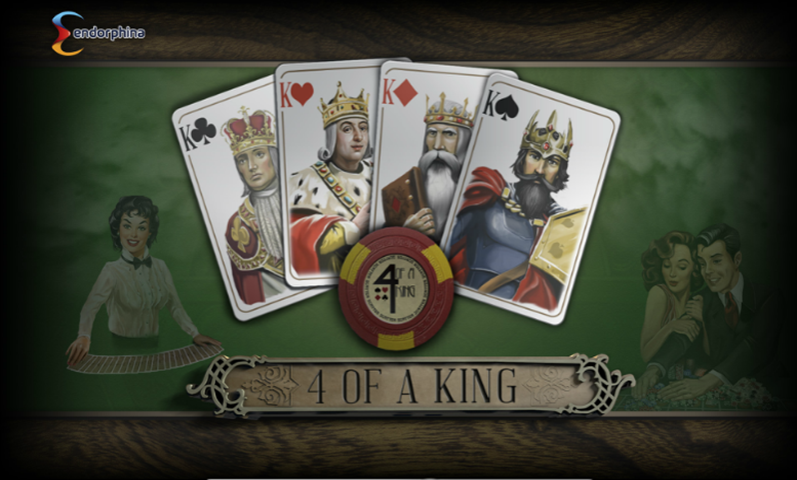 Enjoy the different versions of blackjack, pontoon, baccarat, and craps. Sign up with LadyHammer and you have endless choices for what you want to play every day. When you sign up and make your first deposit, you get a 100% bonus up to €100 plus 50 free spins. But this is only the beginning. 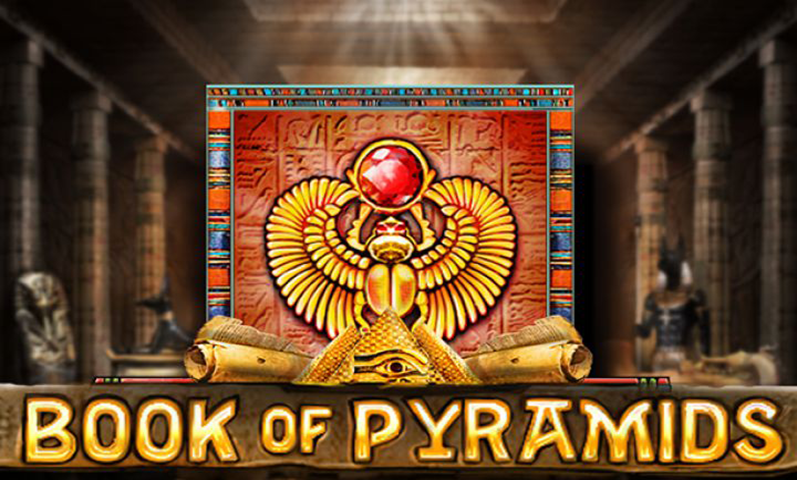 On your second deposit, you get a 50% bonus up to €100 and 50 more free spins. 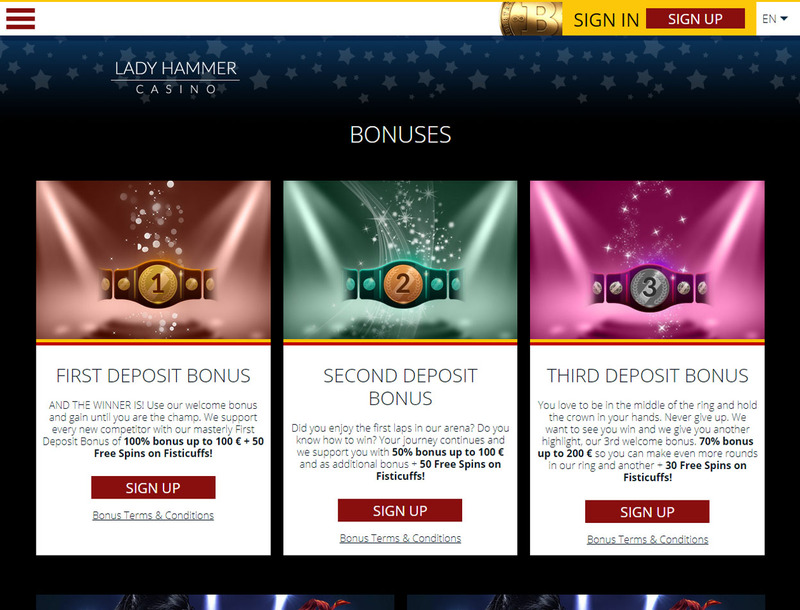 Complete your first of many LadyHammer gaming sessions by getting a third deposit bonus. Another interesting bonus to check out is the World Championship VIP program. Allow nothing to stop you from getting the highest VIP level possible. You can get points each time you play here, and the more points you get, your level and bonuses increase as well. 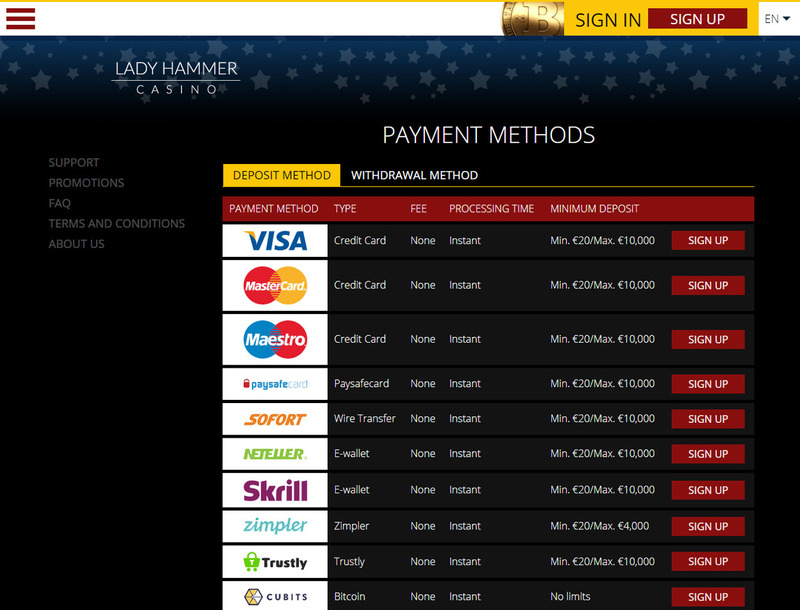 One useful page from this online casino includes payment methods. You can easily pick your best payment method. Whether you prefer paying with credit cards, e-wallets, or wire transfers, you can enjoy instant deposits and quick withdrawals. 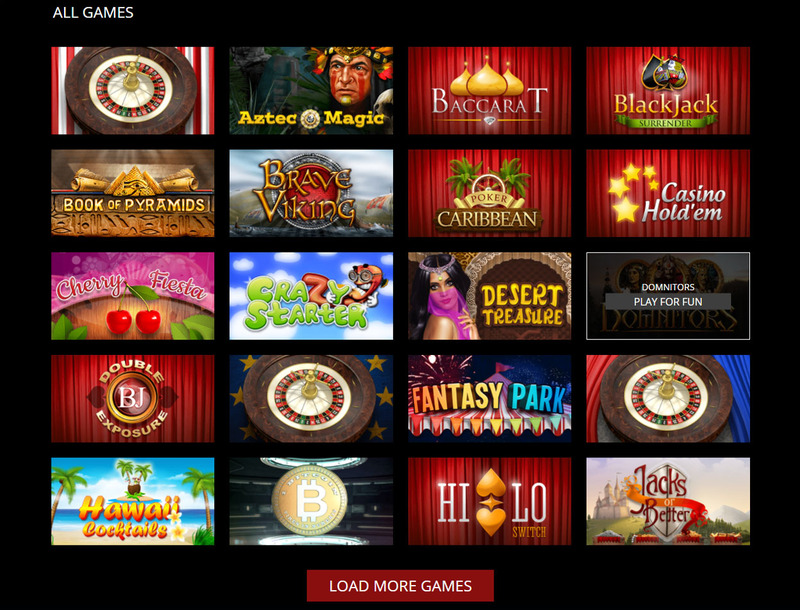 Better yet, this is one of the few online casinos that accept Bitcoin. The minimum amount you can deposit in this casino is €20, except if you use Bitcoin. When you pay in Bitcoin through Cubits, you have no minimum deposit. And when you are ready to make a withdrawal, you need to have at least €20 or 0.001 BTC, with a maximum of 15 BTC per transaction. 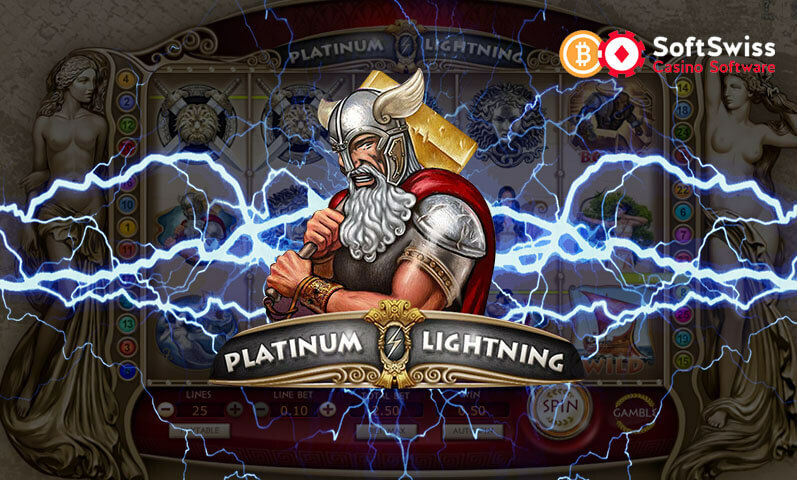 When you are looking for one of the best Bitcoin slots, you may find that LadyHammer has plenty of dedication and tenacity. 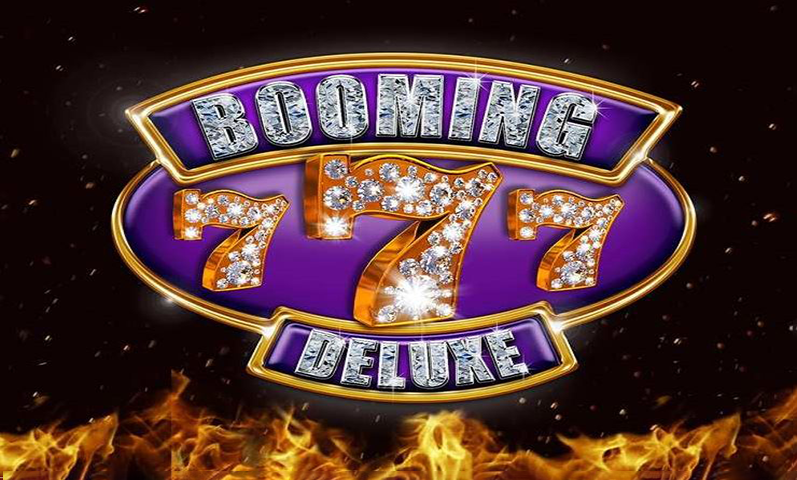 You can enjoy great bonuses while being able to play your favorite slot games. 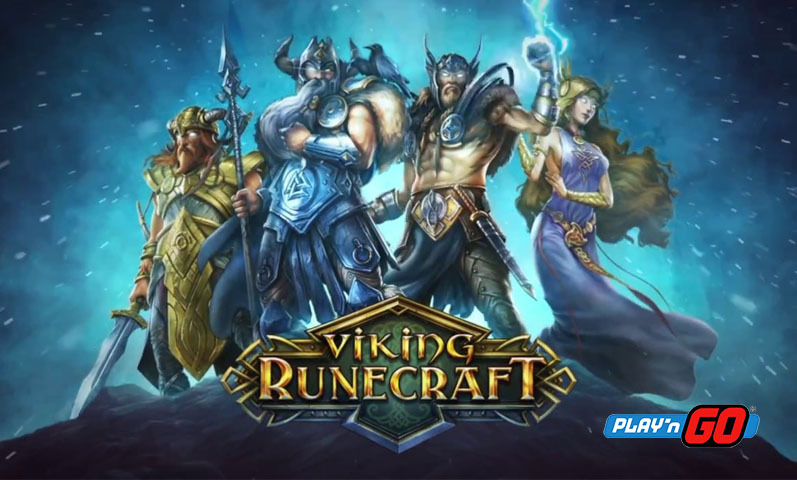 This online casino gives you the best gaming experience by offering a wide gaming library. You can also feel safe and secure here, as LadyHammer uses SSL encryption. When you see the green padlock on the upper-left corner, you can be sure that the information you send is private. If you have any questions or concerns, you can send live chat support a message, or fill out a contact form.